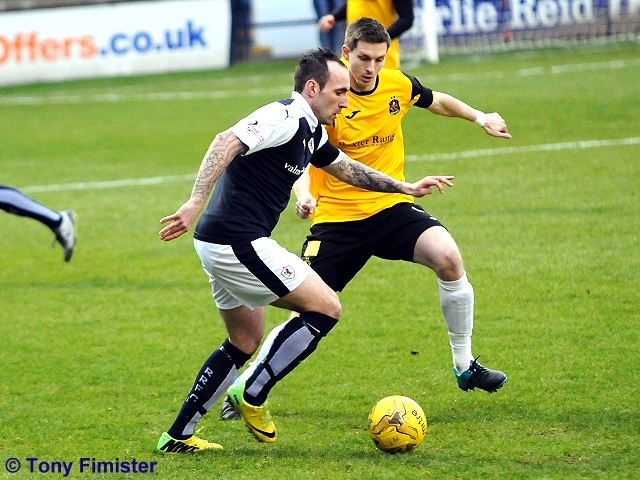 Raith ended a three-match run of defeats with today’s goal-less home draw with Dumbarton. 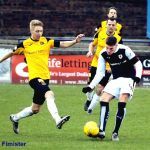 While the home side had the better of the chances – and had a good penalty shout turned down in the closing minutes – neither side did enough to deserve the three points on an afternoon in which defences and packed midfields were the order of the day. 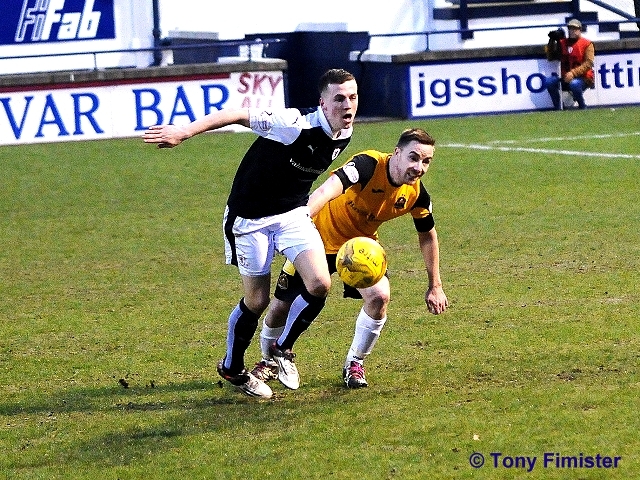 For Raith, loanee Louis Longridge’s two point-blank shots on the hour – both blocked on the visitors’ line – were the best chances to break the deadlock; Dumbarton spread the play well from end to end but lacked the quality required to genuinely trouble the Raith back division. 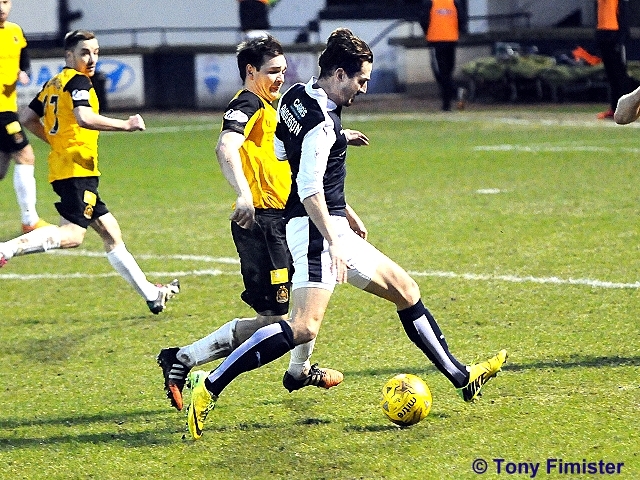 Ray McKinnon’s starting eleven has evolved quickly in the last month. 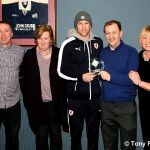 Hamilton Accies’ winger Louis Longridge started in midfield, and there was a debut for Aidan Connolly, an arrival this week from Dundee United. 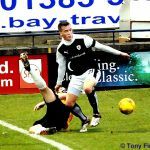 With Jon Daly having departed, and Lewis Vaughan still injured, McKinnon opted to start Mark Stewart upfront on his own, with a supporting cast of Craigen, Connolly, Longridge looking to support him ahead of a midfield base of Callachan and Robertson. 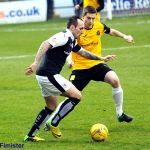 Dumbarton travelled east without captain Darren Barr, suspended after recently collecting his sixth booking of the season. 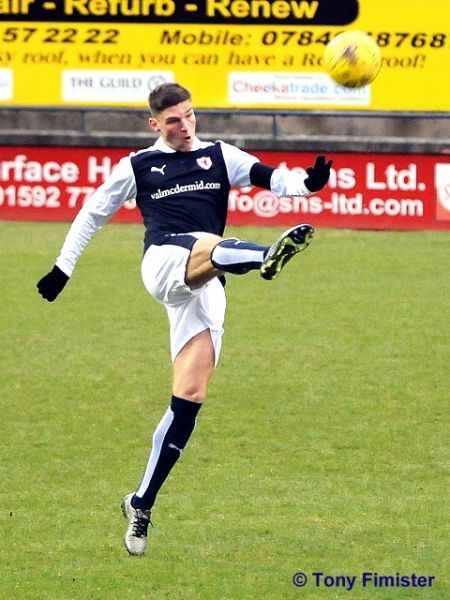 New loan signing from Rangers, winger Tom Walsh started wide on the left-hand side. 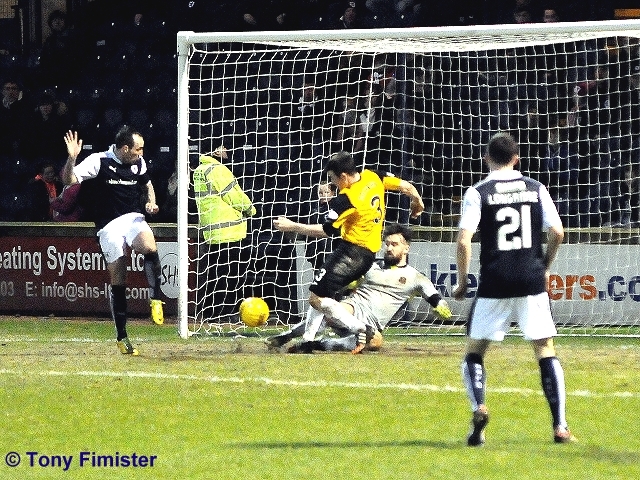 Having won three of their last six, arguably Dumbarton came into the game with some degree of form, although this season’s campaign has been plagued with inconsistency. 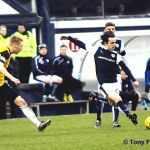 The side’s last meeting in November was ample evidence – Raith starting well, and Dumbarton only beginning to fire late on, with neither team exercising enough control to take the victory. The match began with heavy hearts. 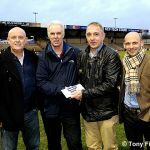 Dumbarton chief executive Gilbert Lawrie having passed away suddenly this week, the 1,397 crowd within Starks Park rose as one to conduct a perfectly-observed minute’s applause before kick-off. With the temperature in the Main Stand feeling considerably colder than the 10 degrees showing on the thermometer, the first ten minutes of play suggested this was to be a very long afternoon indeed. Connolly looked bright and sharp in early exchanges, popping up on both left and right flanks. 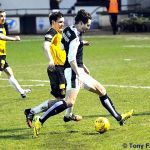 Beyond the young winger’s energy, there was nothing of note – both Stewart and visiting front-man Fleming looked fairly isolated with neither midfield controlling possession to build toward the final pass. On ten minutes, the first real openings – at one end, Dumbarton’s Walsh rounded Bates and crossed just beyond Fleming; at the other, Longridge surged into the box, squared for Stewart, and from a lay-off Craigen could have done better. Longridge’s header from a McKeown cross drifted harmlessly back across goal, while young Walsh’s shot was blocked away at the home end. Neither goalkeeper had yet been troubled in a serious way. 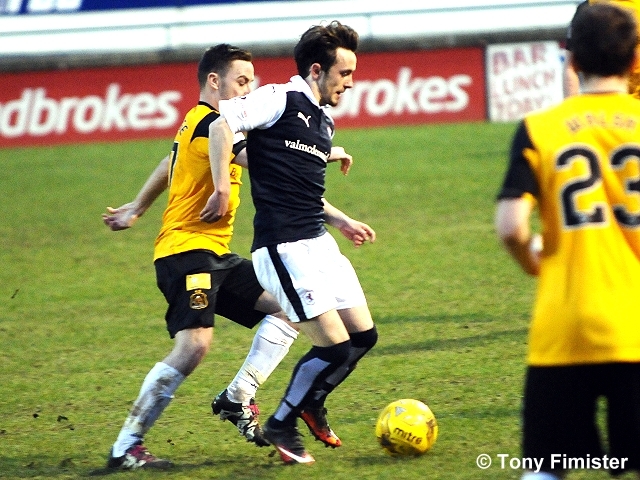 As would become apparent throughout the ninety minutes, Raith lacked a central link between front and back. 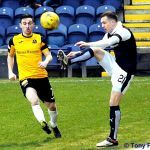 In the opening stages, Connolly and Longridge combined well with several neat exchanges; however, neither could create space for Stewart to slip between his hefty markers Wright and Buchanan. McKinnon’s other gambit appeared to be to spring Bates behind his opposing full-back. 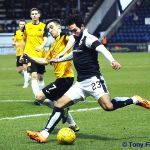 The portly Docherty looked troubled for pace all afternoon, however what he lacked in outright speed he made up for with tenacity in the tackle – several times Docherty was able to release Lindsay or Walsh into the space vacated by the young Raith right-back. It was both positive for Benedictus and Davidson that they were mobile enough to clear any danger, and a negative for the visitors that they were unable to exploit the space wide to create openings in front of Cuthbert’s goal. On the quarter hour, Stewart’s snap-shot was saved well by Ewings. 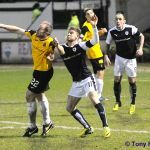 Moments later, Craigen curled a lovely dipping shot past Ewings which clipped the top of the cross-bar as it flew over. 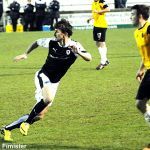 Gallacher was released in space following spritely footwork from Fleming – the Dumbarton forward’s cross-shot rolling harmlessly wide. 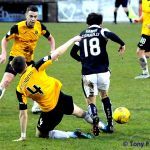 While Benedictus and Davidson dealt comfortably with any aerial intrusions, Dumbarton’s forwards ran good angles and ensured the Raith defensive partnership were pulled across the breadth of Starks Park in the first half. 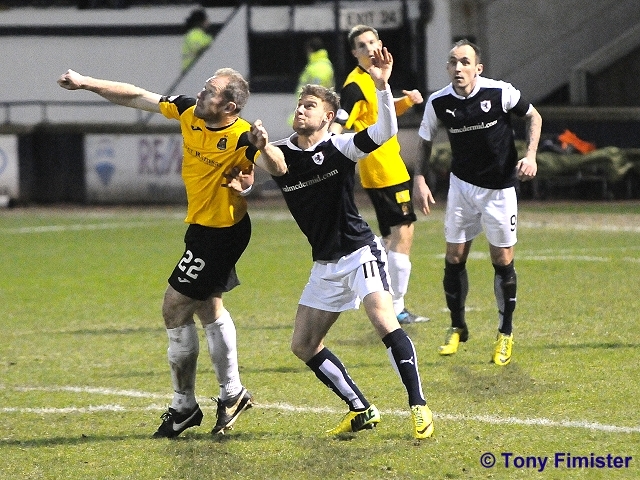 Referee Stephen Finnie had a long discussion with manager McKinnon following the pint-sized Connolly being penalised for felling the more substantial Wright – the Raith manager’s mood had been poor for much of the first half as his team’s passing through midfield lacked the direction and accuracy he demanded of them. 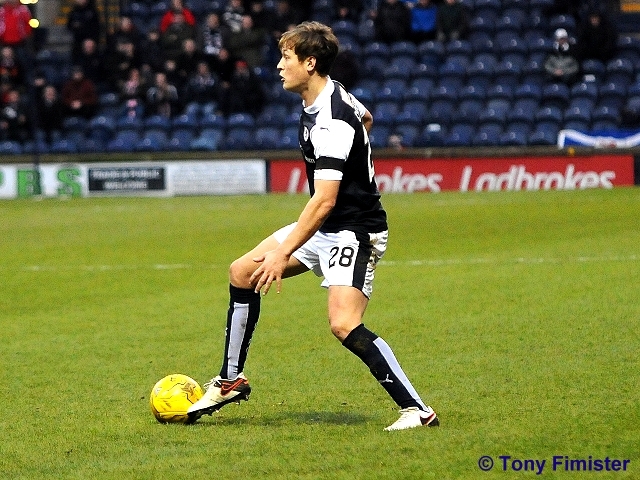 The dug-out’s plastic panelling bore the brunt of the Raith manager’s frustrations. On the half-hour, a gifted Connolly flick looked to give Stewart a break between his markers; Buchanan recovered well to use his sizeable presence to ease Stewart out of contention. At the home end, Gallacher twisted away from two men before sneaking a ball through for Walsh – the linesman raised his flag immediately. With both sides employing five in midfield, perhaps it was no surprise that neither could control enough possession in the final third to generate real pressure. 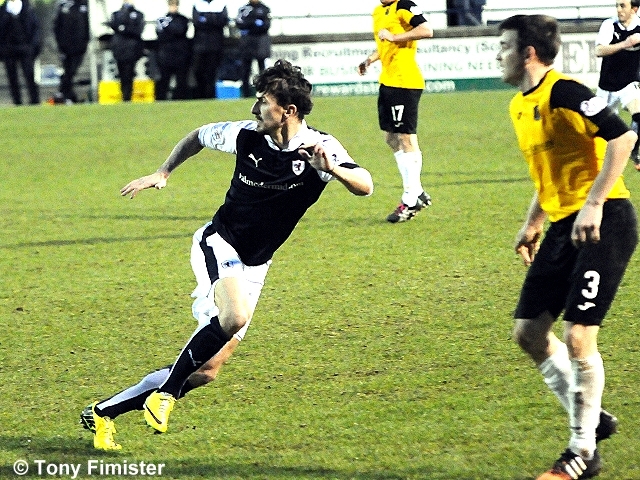 An unsatisfactory half ended with a spell of poor passing in midfield – Raith’s Robertson, Callachan, and Craigen all sought to drop deep to kick-start raids into Dumbarton territory, but with the visitors looking nippy on the counter, Raith’s greater volume of possession lacked the directness required to open the scoring. 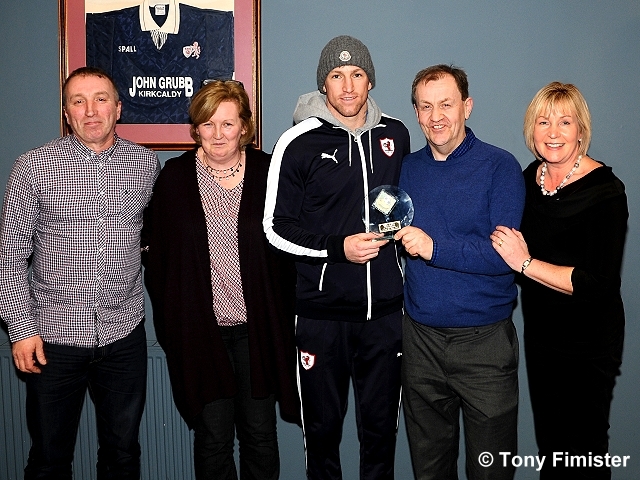 The second half began with Raith on the front foot – a Callachan drive from distance fizzed over Ewing’s bar, a Longridge cross spun through the Dumbarton box, and another burst took the Hamilton Accies man past two markers, his shot rising narrowly over. 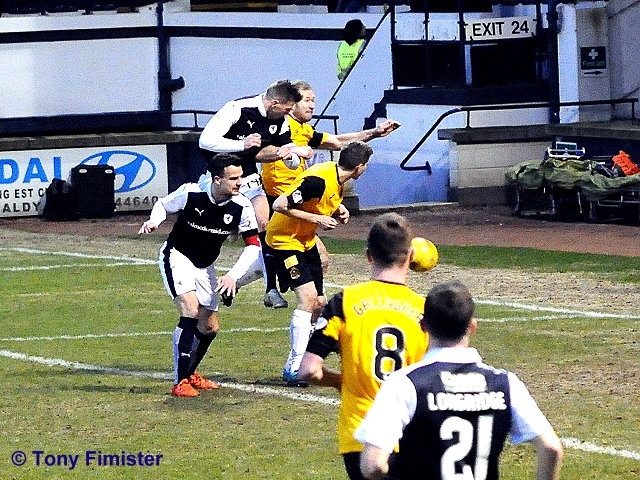 Ten minutes into the half, Raith’s best chance – from the last of a succession of Raith corners, a real scrum in front of Ewings resulted in Longridge crashing a drive off Gallacher on the line, and with the ball hanging at an awkward height for an eternity, a combination of Gallacher and Wright blocked another Longridge effort. 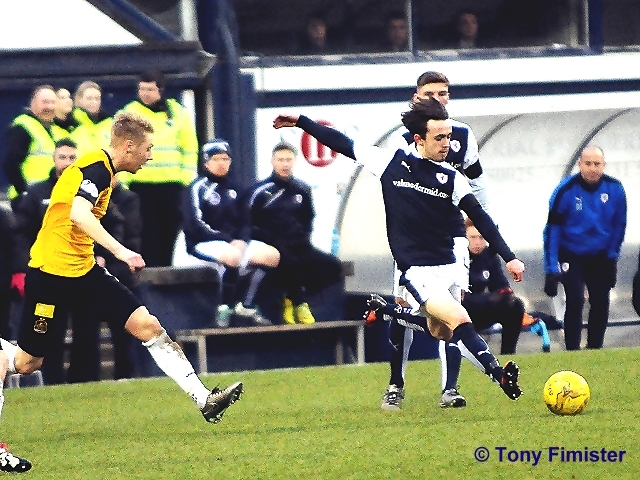 The visitors’ defence eventually crowded Raith out. 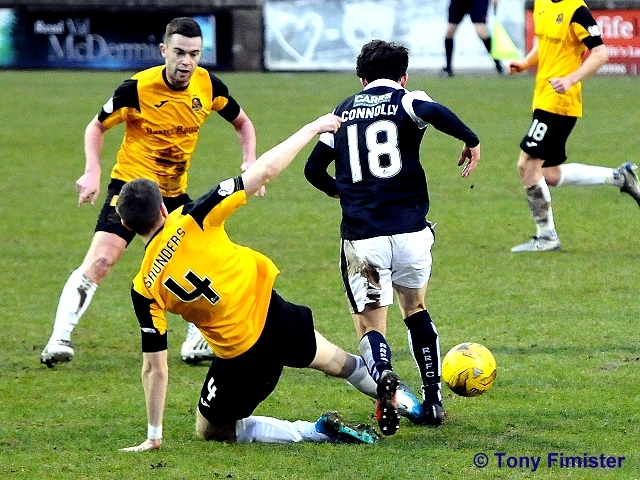 More out of frustration than anything else, Longridge tripped his man, earning a yellow card. 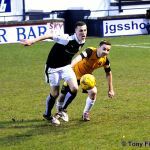 Davidson and Longridge came close from further corners – given the crowded nature of Dumbarton’s defensive midfield, set-pieces seemed to give Raith their best chances of breaking the deadlock. With twenty minutes to go, the impressive Connolly clipped a free-kick on target after substitute Anderson was pulled down – Ewings did enough to push the effort wide. 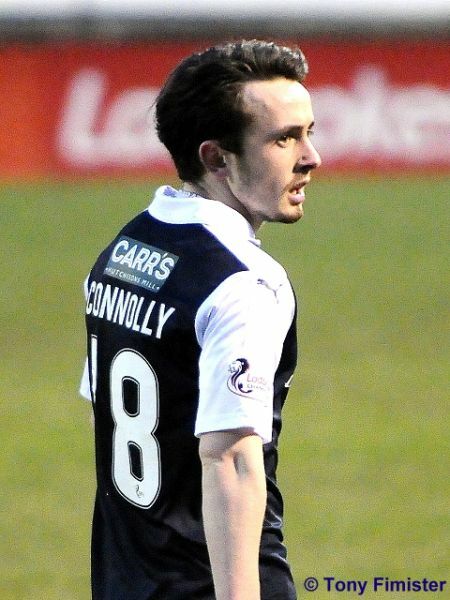 Connolly was subbed moments later – earning warm applause after an energetic and skilful debut in a Raith shirt. 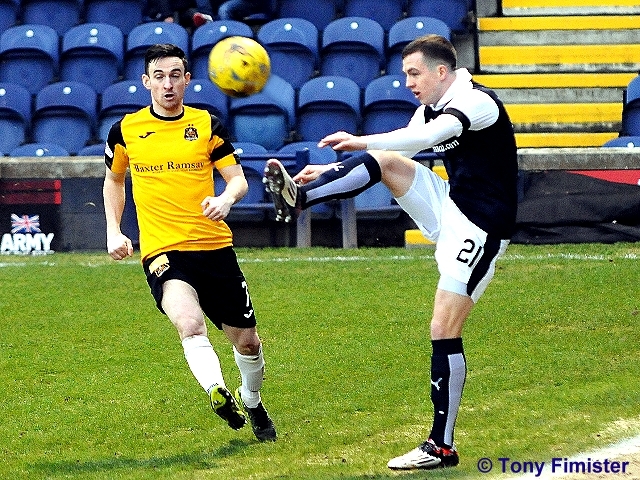 The last ten minutes looked to have a draw written all over them – a rocket from Callachan from fully thirty yards was well pushed away by Ewings, but all other attacks seemed to be dealt with by centre-halves Buchanan and Wright relatively comfortably. Stewart, who had struggled in the air all afternoon, was the recipient of service from wide areas which left no option but to challenge his taller opponents with little success. Gallacher, Walsh, and Cawley each looked to break from deep, and combined well and with pace when the chance to escape presented itself. 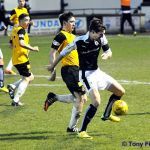 However, Benedictus and Davidson held firm, both showing good pace to tackle when Dumbarton threatened to bear down on Cuthbert. With two minutes left, the game’s one moment of real controversy. With the ball bobbling in midfield, substitute Megginson flicked a tantalising invitation between the visiting pivots, Stewart scampering beyond them. 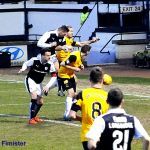 The Raith man was first to the ball, and crossed into the Dumbarton box looking to shoot before collapsing in a heap of arms and legs after a tussle with Buchanan. 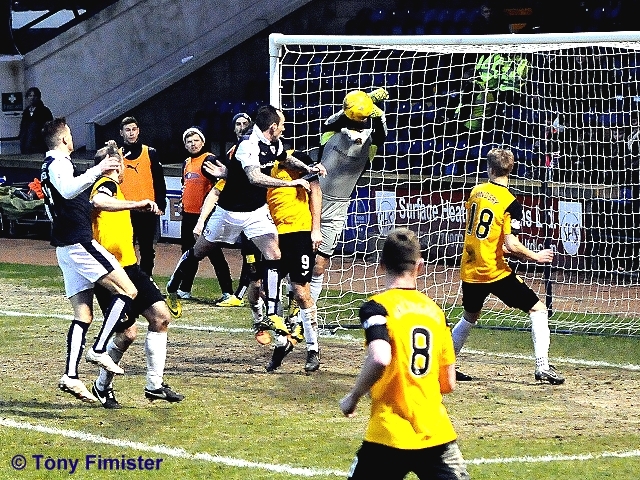 The look on the Dumbarton defender’s face betrayed concern, anxiously awaiting referee Finnie’s whistle. 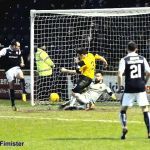 With the home crowd baying for a penalty, the referee waved play on, amid howls and protests from Raith supporters and players alike. For a game that will not live long in the memory, the late penalty shout gave supporters food for discussion on the long walk back into town. 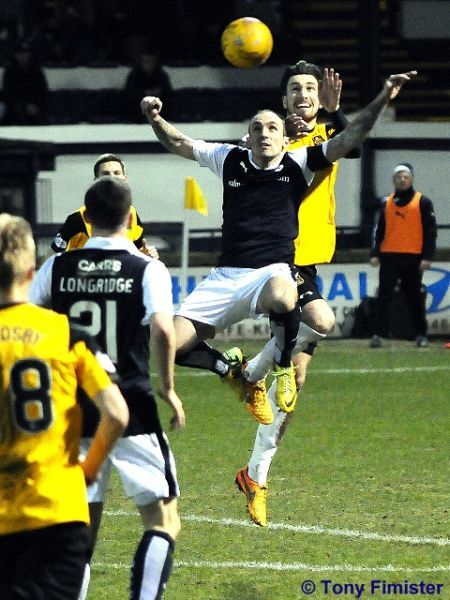 For Dumbarton, a traumatic week ended with a point. For both sides, next week sees a home fixture as the quest for a play-off spot in this season’s Championship continues. Welcome to Starks Park for today's championship tie against Dumbarton. It's a mild 10 degrees and no sign of any snow today! 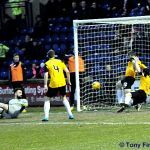 A Lewis Toshney goal was enough to earn rovers a victory back in September. 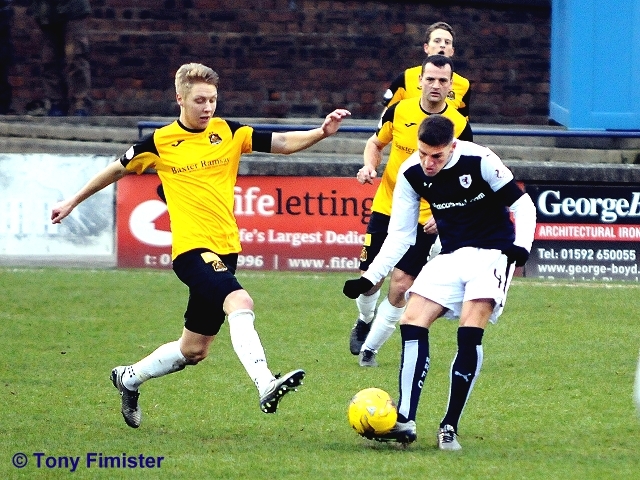 Raith fans will need no reminding of the last game against today's visitors, which ended 3-3. 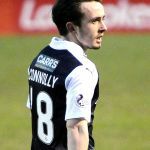 Aidan Connolly starts his first game for the rovers. 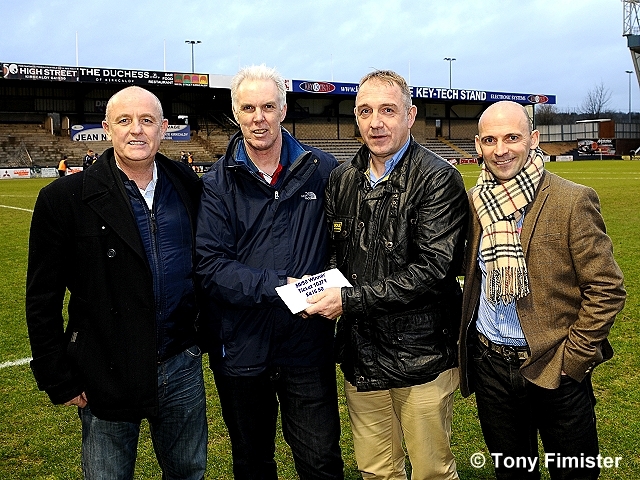 He is joined in attack by Louis Longridge and Mark Stewart. Today's referee is Stephen Finnie. His assistants are Joseph Lawson and Daniel Mcfarlane. 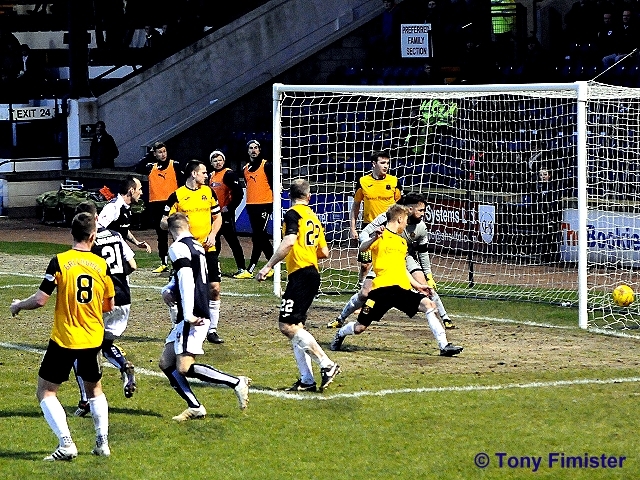 Dumbarton kick off towards the South stand. David Bates playing right back with Davidson partnering Benedictus in the centre of defence. 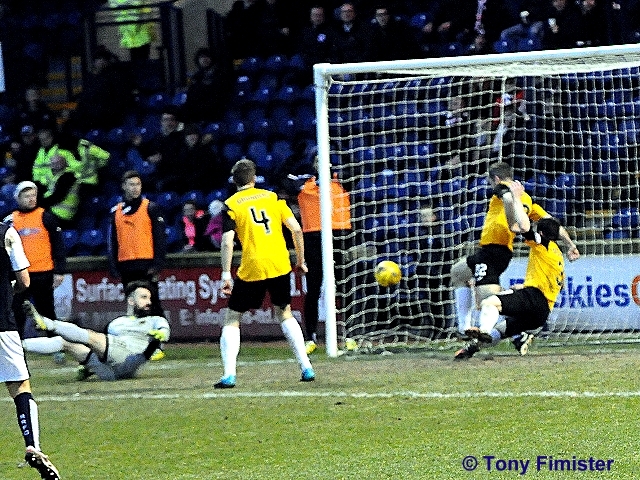 Good challenge by Bates on Walsh in the corner flag, winning the ball cleanly. Longridge seems to be playing wide left with Connolly playing on the opposite wing. Plenty of movement amongst the front 3 though. Davidson with a 60 yard pass, just too far in front of Stewart. This time Walsh has the beating of Bates but his cross finds no takers in the box. Connelly inclines away from connecting with a cross. A frantic few minutes started with good play by Connolly and a late challenge on the debutant. Craigen's shot was eventually blocked. Cuthbert takes no chances and clears the roof of the main stand with his kick! Longridge sees his path blocked as he goes on a run down the right wing. Ball runs out for a goal kick. Apologies for the lack of updates, signal really poor today. Stewart went close with a turn and shot, which was well saved. Craigen then hit the top of the bar from 25 yards out. Connolly looks an excellent player, full of tricks. The rovers slightly shading the procession. 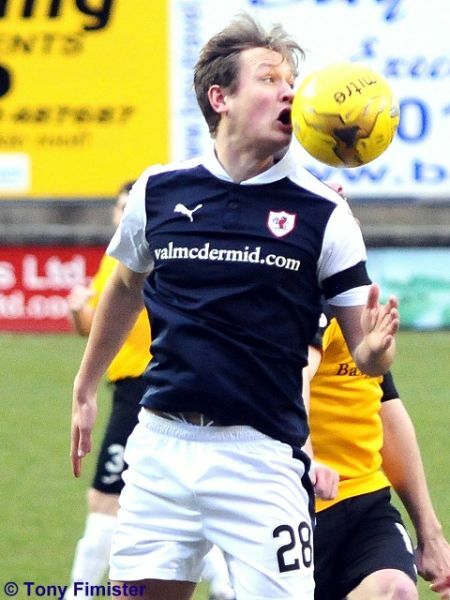 Dumbarton look dangerous on the counter though. 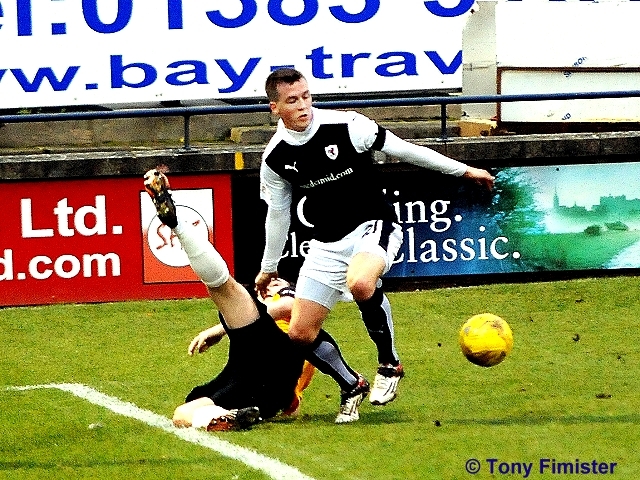 Callachan with a direct pass through to Stewart but his flick is intercepted for a corner. Corner cleared. 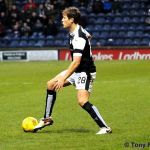 After a free weekend due to the late call-off of last Saturday’s match against St. Mirren, Raith Rovers will be looking to sustain there place in the play-off positions this weekend, with a home win over Dumbarton. 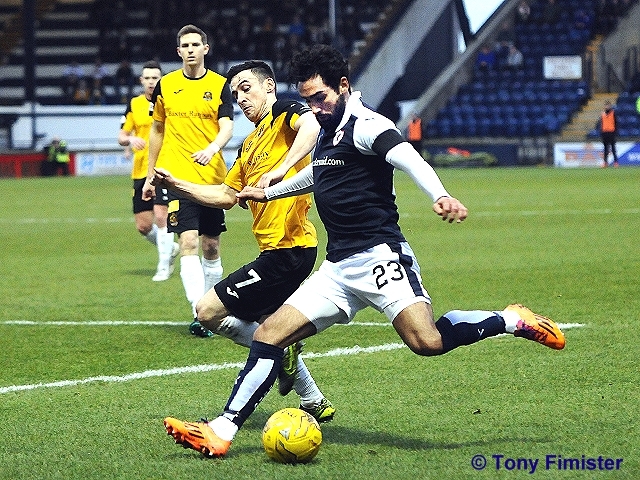 It’ll be the third time the two sides have faced off against each other this season, with Raith taking four points out of six so far. 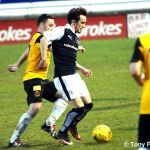 While that seems a good return, the loss of two points in November at the Cheaper Insurance Direct Stadium was a major blow, as Dumbarton recovered from a three goal deficit in the last ten minutes to grab a 3-3 draw. 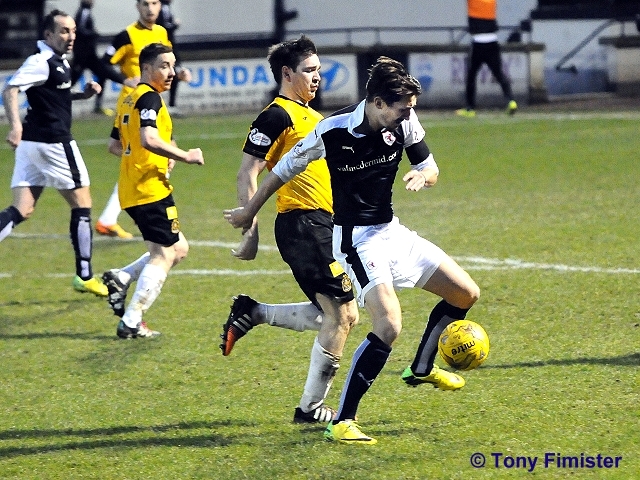 James Craigen opened the scoring after less than five minutes, while Mark Stewart and Scott Robertson extended the lead yet further. 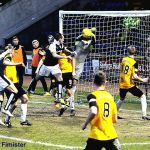 However, two goals from Steven Saunders in the last ten minutes led to a fraught finale, with Gary Fleming squaring matters with a late penalty. 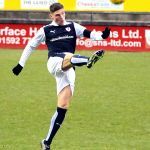 The meeting beforehand in September was tame by comparison, with Lewis Toshney’s second-half goal enough to win all three points, lifting Raith up to third in the Championship table in the process. 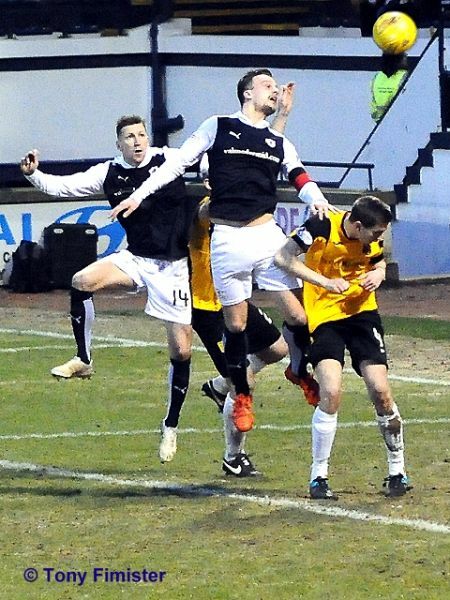 Since that 3-3 draw, Dumbarton have lost three of their six league fixtures, although all three defeats have come against the top two sides, Rangers and Falkirk. 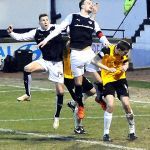 Their other three outings have seen them take seven points from nine against St. Mirren, Alloa and Livingston, a sequence which has seen them move out of the relegation places and into eighth. While previous meetings between these two teams have shown that almost anything is possible, one thing that can almost be guaranteed this Saturday is goals, as the last 13 games have produced an incredible 58 goals. 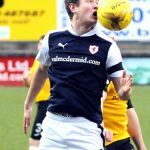 Raith have an excellent record in the most recent head-to-head record between the sides, with five wins and three draws from the last ten fixtures.